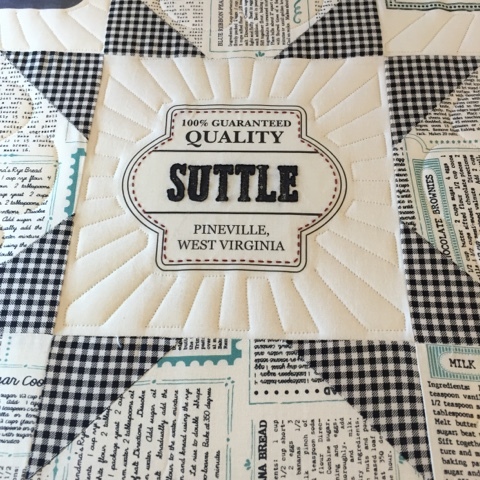 We recently did a little custom quilting on this amazing quilt. 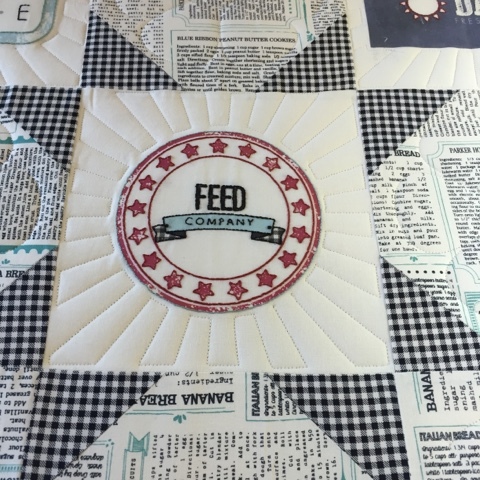 The fabrics used by the client were Feed Company by Sweetwater. 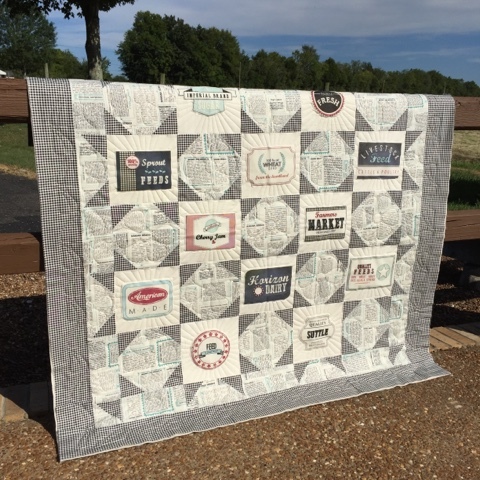 They had a block of the month to go with the fabric line and it's beyond adorable!! Lyndsey did an amazing job piecing it!! 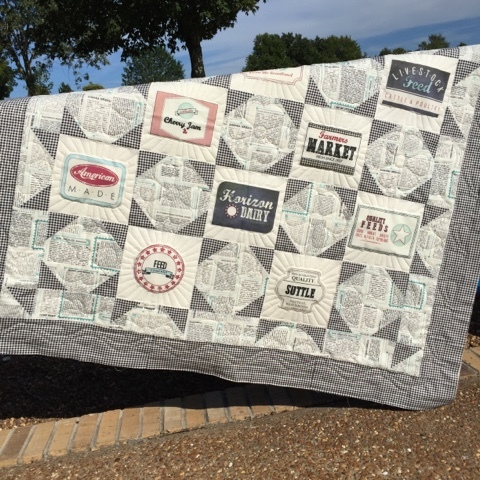 I'm so glad we had the opportunity to quilt it for her! !